More and more data recovery engineers worldwide have come to Chengdu and visit Dolphin head office for advanced data recovery training. It’s just in June 25-29, data recovery engineers from USA and Canada had taken the advanced training courses and got the certificate of excellence in data recovery field from Dolphin Data Lab. 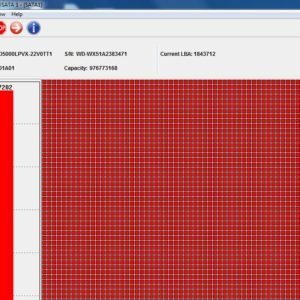 From this data recovery training course, users can learn the most important hard drive software and hardware components and find out which components affect data and which components don’t and how these components affect and how to get these components working properly to get lost data visible again. For hardware components, users need to learn on platters, heads, PCB (ROM chip), motor, magnets, parking ramp, parking tracks, etc. For software components, users need to firmware area-ID modules, adaptive modules, translator modules, smart modules, media cache modules, CAP/TPI modules, defect lists, etc and Data area-data location, data-only sectors, data types, data encryption, data loss prevention, etc. Users can also learn many special data recovery solutions and tips such as how to regenerate the damaged firmware modules, how to manually edit and create new modules, how to change the size of firmware modules, how to firmware module damage when the module locations have bad sectors, how to clean the hdd heads and platters, how to fix the platter alignment problems, how to physically cut heads and recover lost data from scratched platters. Besides above valuable data recovery knowledge, users can also find out how to collect data recovery resources such as firmware resources, donor PCB and hdd resources, case studies, etc. 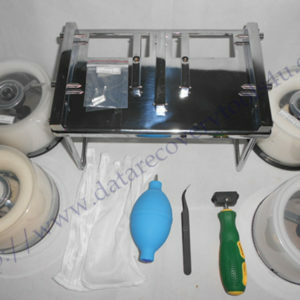 Data recovery resource is a must for successful data recovery business. From Dolphin advanced data recovery training courses, users can fix complicated data recovery cases others cannot fix and finally users will get the certificate of excellence to complete the training.